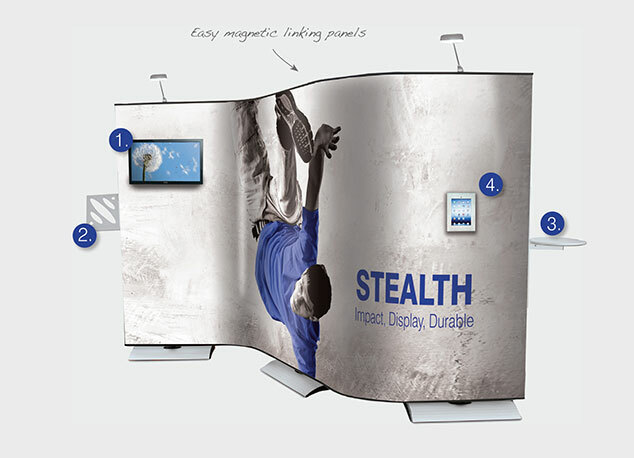 Stealth is a modular, linkable banner system designed to create seamless graphic displays, providing a highly portable and easy-to use backdrop for all types of presentation, exhibition or retail application. The portability of a banner stand with the flexibility of a modular display system: Stealth banners can be used singularly or linked using flexible panels to create graphic walls that can be curved to different angles to suit your presentation. This provides a practical solution to the challenge of creating freestanding exhibition booths. It is flexible enough to fit into corners, making the best use of the space available; and can be repositioned to fit the exhibition space on-site without having to reconfigure the units. 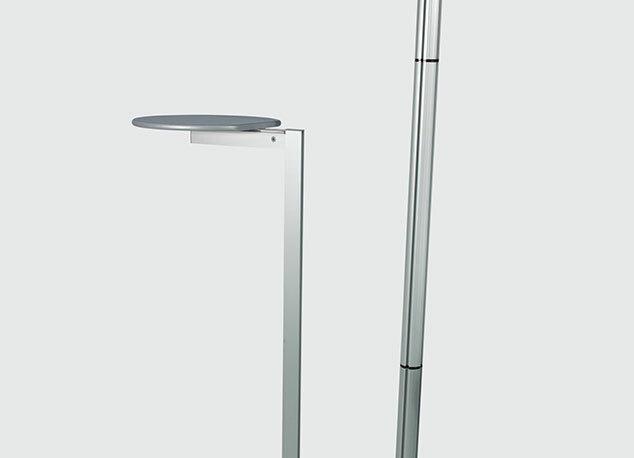 Flexible system offering a variety of finished stand shapes; by joining straight and flexi panels together. Upgrade the included carry bag to a Portable Case. 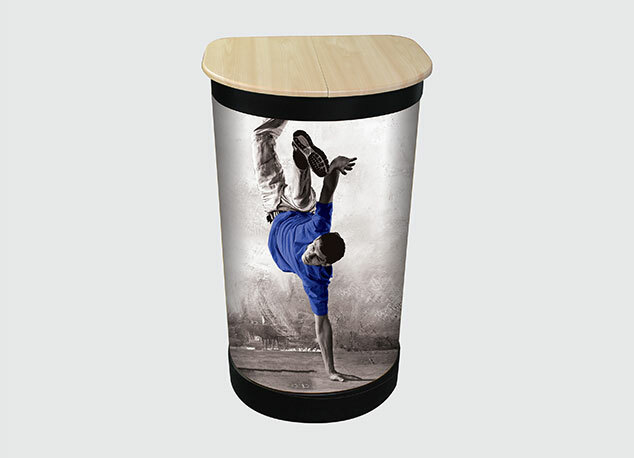 A versatile and adaptable alternative to transporting components, and with the addition of a graphic wrap and wooden top, this case has the option of being transformed into a podium or welcome stand too. Enhance your Stealth banner by adding a literature holder. Fitted simply to the side of the graphic for a polished and complete look. Include an LCD screen bracket to enable the addition of a 22” LCD TV Screen. 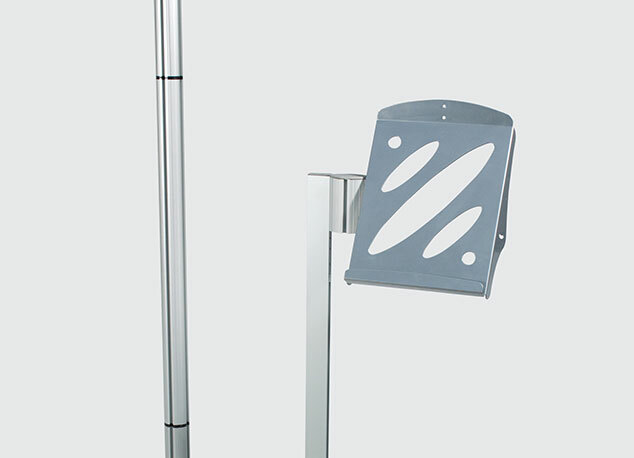 Perfect if you’re wanting to add motion or interactivity to your stand. 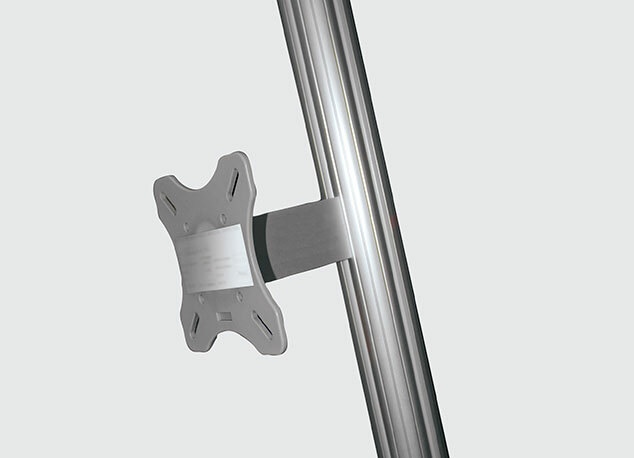 For use with your existing Stealth banner or as an accessory to a new one; extend the height of your Stealth banner by an additional 250mm or 700mm by extension poles kits which you can buy seperately. Enhance your Stealth banner by adding a shelf. Fitted simply to the side of the graphic for a polished and complete look. 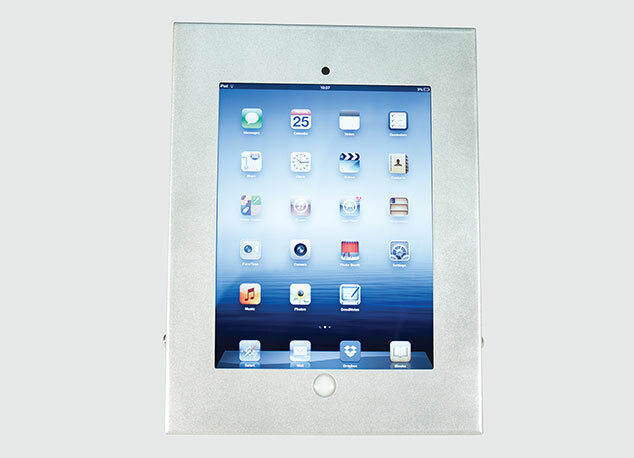 Your iPad can be mounted to your Stealth Banner. Please note iPad not included. 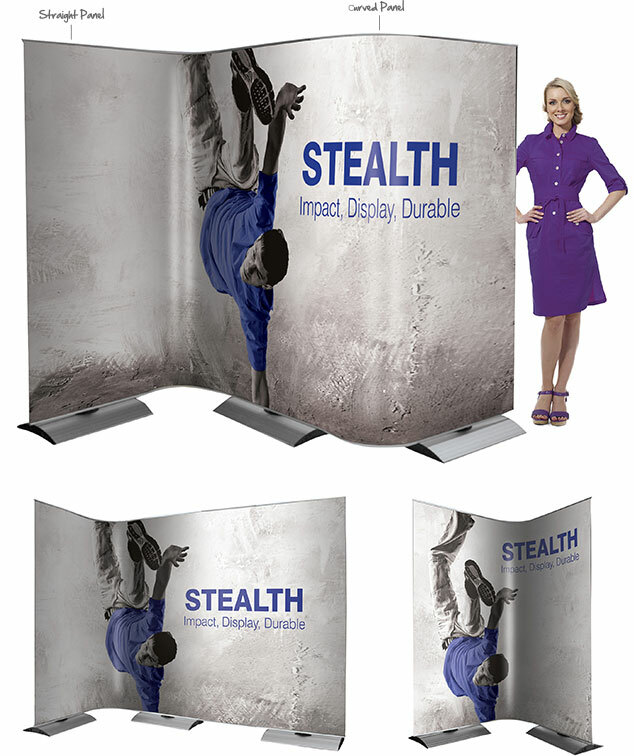 What you can do wth the Stealth Accessories on your banner display. 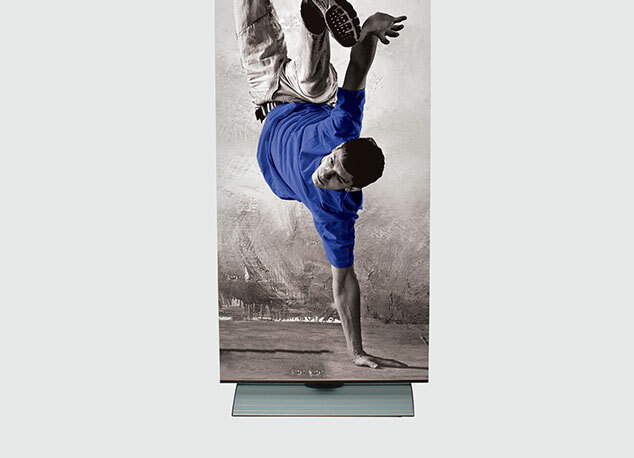 You can make your display stand truly personal. 1. TV mount 2. Literature holder 3. Shelf 4. iPad holder.